When I was seven years old, I experienced my very first and most bitter disappointment. I absolutely loved music. So much so, that I even dreamed of going to music school and learning to play the piano. How joyful I was when I found out that I’d get to go there! With eager anticipation, I savored the image of my favorite preludes and waltzes simply flowing out of my fingers. But things didn’t turn out so easily at all… Music school turned out to be a total nightmare. For hours, I was tormented by merciless sheet music, trudging through the notes as if I were stumbling through dense jungles. My fingers refused to do what I wished; music wasn’t being made. My teacher didn’t notice all of this and commanded that I play with “expression and beauty!” Oh, is that all there is to it? Where the heck was the beauty that she was talking about? How could I hear the music I was playing when I was just trying to make my fingers hit the right keys on time? On the other hand, in the school for general studies, I was a star in music class! We got to dance, clapped to all sorts of rhythms, and even sang our favorite songs. There wasn’t any sheet music, plus, it was all super easy. These were two different types of “Music”: one was fun and easy, and the other was demanding and boring. Both of them taught me poorly. Actually, neither of them taught me at all. At home, Mom struggled right along with me, but she wasn’t much help; she didn’t know the notes any better than I. It came to such a point that she got a piece of paper and wrote out the entire song with the Russian names for each note, marking each word-note with the corresponding number for which finger I needed to play it with. Afterwards, she’d stoop over me at a breath’s distance and compare my every move to what was written in her ‘note’ book. In this way, we trampled along together like puppies in a ditch. Interest in such an education simply withered in front of your eyes. I don’t remember this method helping me out very much, but at least it gave my mom some comfort. For the most part, to me, piano became an instrument of torture. It is a miracle that I didn’t come to hate music. My unexpected inheritance came to me as a miracle. At some point, I was suddenly given a golden ticket: the perfect pitch, the natural ability to identify notes by their pitch vibration. I suddenly just knew what note I was hearing, as if I were recognizing colors that I saw. It was like gaining eyesight after a lifetime of blindness! Unexpectedly, I was provided with a key, and a beautiful world of music was suddenly opened up to me. I could write down melodies that I was hearing on paper without pause. And after writing down a multitude of different songs, I saw how all of this music stuff is really put together. It turns out that everything in music is actually quite simple and logical! All one needs is a foothold to see this, and to understand. I started feeling very sorry for those that continued to think that serious music is boring and complicated. More than anything, it made me want to show every person what music really is – to see, and to want to learn. That is when I decided to become a music teacher. At the beginning, I had a harder time with this than the average music prodigy. I collected an entire store of obstacles in music education and inspected them carefully. This became my hobby – an investigation of what teaches how to teach. After learning what I could about teaching and putting theory into practice, I could no longer believe in the accepted methods of pedagogy. I realized that without thinking about what we’re doing, in just a half-hour we can deprive a student of his ‘key to music’ for the rest of his life. Also, even if we might find a way to alleviate some of our hardship during the lesson, it doesn’t necessarily mean that the student will be so lucky! My difficult childhood with music helped me to find the right questions. What and how are we teaching, and what is the final result of our efforts? Why do we teach in one way, and not in a different one? How is it possible to give a person both the abilities of hearing and play? 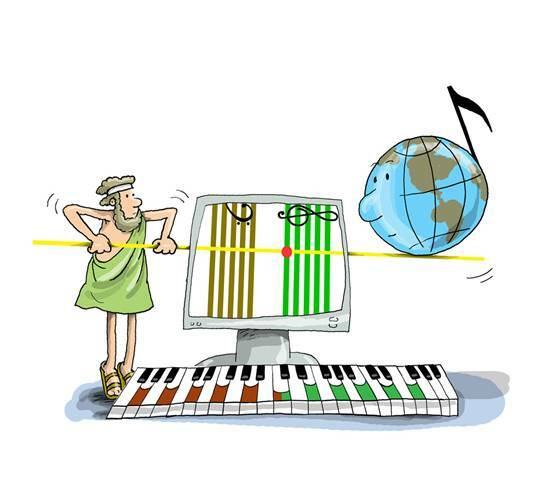 Of course, I understood perfectly well that not everyone gets the perfect pitch dropped into his or her head from the clouds… but anyone can learn to play music! This means that it’s necessary to seek out many different ‘keys,’ one for every person. For the majority of my time in music school, I had the lowest grades in my class. It’s better not to even think about some of the things I endured there. My perfect pitch changed the situation at the very core: instead of ordinary, I suddenly became gifted and extraordinary. This doesn’t mean that all of the problems disappeared, but for the first time in my life, my teachers began to take me seriously – what a difference that can make! Then, at last, our music school had its final exams. One by one, my classmates, whom I had always seen as unreachable, rose to the stage to perform. They always had an easy time learning, and every year at the final, they performed with “excellent” marks. Never in my wildest dreams had I ever envisioned myself as becoming one of them. This time, though, I played well enough to get an “excellent” mark as well! This was my very first “5” in seven years. I was finally victorious! My eyes filled with tears, I promised myself that I would definitely find a way to teach every child to hear, understand, and make music. After that fateful day, three decades passed. I expected to find many comrades-in-arms, hoping as I did for a better system of music education. This turned out to be a very naïve assumption. No matter what my accomplishments were, I was treated as a stranger, both in the music school and at the conservatory. I never forgot what it was like to be a “2” student, something that most of my classmates never experienced. This very difference affected the fate of my profession. More than anything else, I just wanted to find out more about music teaching. For some reason, this didn’t call forth the enthusiasm of my professors. Pedagogy, psychology, and methodology weren’t subjects that were received with respect by students, nor professors. The most popular subjects were in specialization: piano, music theory, music literature and criticism. Music schools specialized in producing concert performers or musicologists that wrote knowledgeable, lengthy theses. But ironically, most of these graduates ended up teaching in the beginners’ music schools. And of course, they taught the small kids just as they were taught in the conservatories! It turns out that an ironic disrespect, even an attitude of hatred towards pedagogy is embedded in the very heart of music education. Graduates finish college and have trouble finding work, and eventually resort to teaching children as if it were an inescapable evil. Moreover, working for a music degree in education is not considered to be a good career move. Thus, most teachers rush to find ‘talents’ and polish them, so that they can show off the final ‘result’ without much trouble. There is barely anyone that is interested in finding ways to create musical abilities such as hearing, sight-reading, playing, and composition in students that don’t have them. This isn’t even thought to be possible! Yet, why is work so hard to find? The field of performance is over saturated, as there isn’t much of a demand for it. Without educated listeners, musical art isn’t worth much. This means that making effective music education available to more people is even more important than preparing performers. Yet, most of the people on our planet are musically illiterate. Most people aren’t even capable of memorizing more than the simplest of melodies. Because of this, mass media is saturated with pop music, which, it must be acknowledged, isn’t very advanced. Worst of all, few professional musicians feel any personal responsibility for this. “The people are getting what they want, right?” they might say with a shrug. When I chose to examine how best to teach children to listen to and understand symphony music as the topic for my thesis, there arose a scandal in the department of my Alma Mater. I was called into the office and asked to think my choice over very carefully. It was explained to me that such a subject wasn’t suitable for a person like me, and that a career in musicology might as well have a gravestone over it. This seemed extremely unfair! I was sure that a single work of this nature would be worth thousands of those others, which were deeply “scientific” simply for the sake of seeming “scientific.” My work was actually invested in making music more accessible to “average” people! Without much regard to the protests, I wrote and successfully defended my thesis. Even now, I can’t shake the anxiety I’ve gotten for the future of the language of music. Yet, even these difficulties came to use. In the conservatory, I learned the most valuable lesson: I wouldn’t be able to count on others to make any changes. It would be up to me to not only fix the problems of education, but to also circumvent my colleagues, who either can’t see any problems, or more likely do not want to see them. When I immigrated to the Unites States, I learned another lesson: the devaluation of music pedagogy is a worldwide phenomenon. Both in the former USSR and here, have I noticed a marked disinterest in public music education. Neither organizations, nor performance groups, nor government structures, nor even the majority of my colleagues understand that we can teach music to everyone! 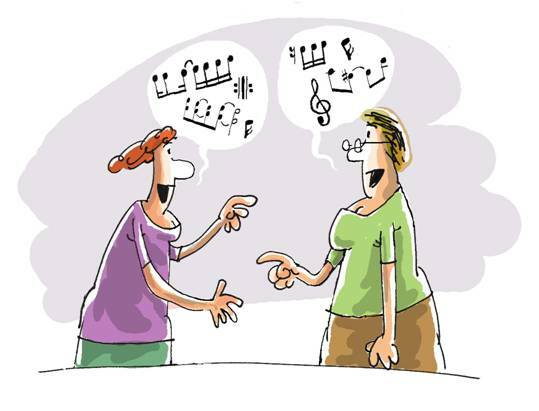 At the core of music education lies a very sly axiom: there isn’t any sense in teaching the language of music to a wide population of people, because it is only for those that are “gifted.” Haven’t we teachers gotten quite comfortable? If our students can’t learn to play, then it is their own fault; they simply aren’t talented enough! We aren’t held responsible for the results, and there is no motivation to seek out the most productive means of teaching. But these means already exist! There is a real solution to music illiteracy. The elementary inability to educate all people, no matter how ‘untalented’ they might be, can easily be remedied! So, what’s the problem? It’s extremely hard to teach music. Most kids give up quickly. If they somehow make it through music school, they abandon the piano upon graduation and don’t play anymore. Some kids just don’t have the ear for it, not to mention the patience and perseverance necessary for years of practice. Music isn’t for everyone. Yet, if it really isn’t for everyone, then why do people enjoy hearing music so much? In grade school, we are often told that if there’s a will, there’s a way. 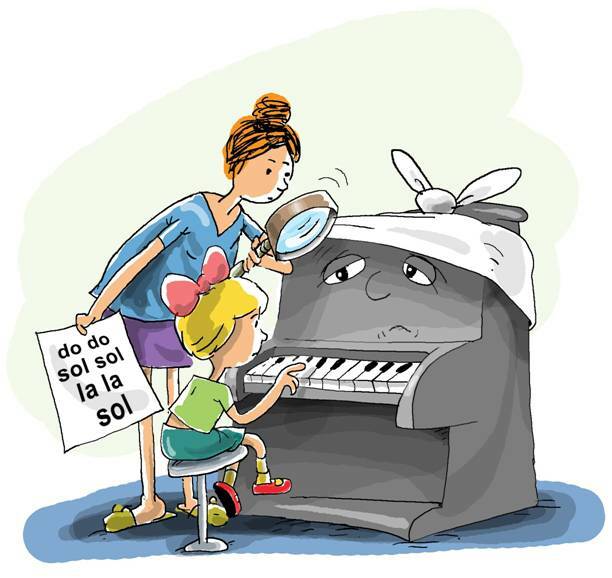 But when it comes to piano lessons, it is said that a desire to learn simply isn’t enough. How can we consider this acceptable? People without an ear for music live all around us, but it is a fact that it can be developed like any other skill. Is it really impossible to teach music to every person? To better understand, I looked for answers everywhere: in the theory and history of music, in the psychology of music perception, in neurology, in social and musical methodology, general and music pedagogy, and even in linguistics. The more I found out, the more clearly I understood that our methods of teaching are only hindering music education! It isn’t as if a big bear has roared into the ears of a large part of the world’s population and ruined their music ear, or that God has sprinkled ‘talent’ onto the heads of some people, and not others. We are the ones responsible for our own musical impotence – or, to be more precise, we, the music educators. How we managed to secure this level of success is a topic that I will address in this book. My most sincere plea to other educators that might read it to the end is: don’t torment yourself and your students anymore! Please, try to look at the work you’ve been doing objectively. Of course, it is convenient not to change anything, and to cling to the usual excuses. But there is a sensible idea in what I have written, and it can be proven. My work with students of all ages constantly confirms this.